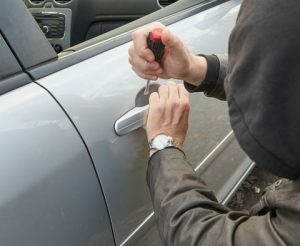 No one hopes to be in a situation where their vehicle is stolen, but unfortunately it’s a reality that millions face each year. So what should you do if you find yourself with a stolen car? Read on for steps that will guide you through and help manage this crisis. This may sound silly, but it’s important to make sure there is no other explanation for the absence of your vehicle. Cars can be misplaced, towed, or even repossessed, so make sure to think through these scenarios before you call the police. If you think your car may have been towed, it’s not a bad idea to check impound lots before you go through the process of reporting a stolen vehicle. A photo of your vehicle would be ideal, but isn’t necessary. Now that you have all the required information, it’s time to call or visit the police to file a stolen vehicle report. TIP: the sooner you call the police and file a report, the more likely your car will be recovered. Make sure to keep a copy of the report for your files,as your insurance company will need it for your claim. It’s very important to call your insurance company after you’ve filed your police report as this can help protect you in case your car is used to cause harm or damage after it’s been stolen. Give your insurance company as much information as possible, including a list of any items that were in your vehicle at the time of the theft. Depending on your insurance policy, coverage following a theft will vary. It’s important to speak to your insurance broker so you understand what kind of coverage you can expect in the event that your vehicle is stolen. Once you’ve taken the steps above, it’s time to let the professionals take care of the rest. If you’re feeling under-insured or have questions about how you can protect your vehicle from theft, contact the experts at ARC Insurance. Our team will get you the coverage you need at a competitive rate.